Quartz countertops can be used in many places in and around the home. Use them for the kitchen or bathroom and consider using them when constructing an outdoor kitchen. They can even be cut to make unique coffee tables, too. No matter what you decide to do with your quartz countertops, you need to know the best place to buy them. The best places to buy quartz countertops can be from suppliers that sell pieces directly through showrooms. Stone yards generally sell only to professional contractors, but you can ask any of your local yards to see if they will make an exception to sell to you. Of course, the very best place to buy is from your local countertop dealer and installer. When you ask for prices, be sure to ask if the price includes installation or not. Beautify your home with quartz countertops! 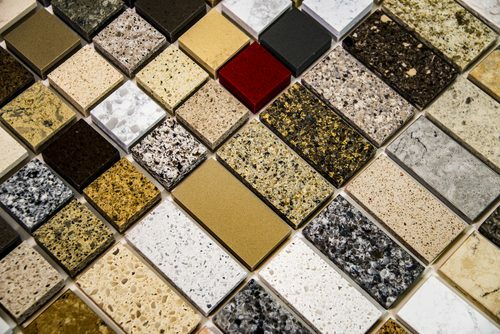 There are many reasons to choose quartz for your countertops, as they have many advantages. Quartz comes in a variety of cream colors, browns and blacks along with greens and reds to add a unique, custom touch to any decor. Quartz is durable and does not need to be sealed the way granite countertops do. This can save you money when it comes time for them to be installed. While the surface is strong you need to be aware that quartz can be susceptible to heat. If you use the countertops in a kitchen indoors or outdoors be aware that you will need to keep the surfaces safe from hot plates and pans by using pads or trivets beneath them. Always use cutting boards when you prepare food on them because quartz can also scratch easily. 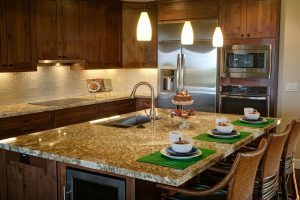 Another advantage that quartz countertops have is that they are resistant to staining from items like coffee, juice or oils. This makes them practical as well as beautiful. What’s More Expensive, Quartz Or Granite?